The third and final recording of Polish Death/Thrash legend. 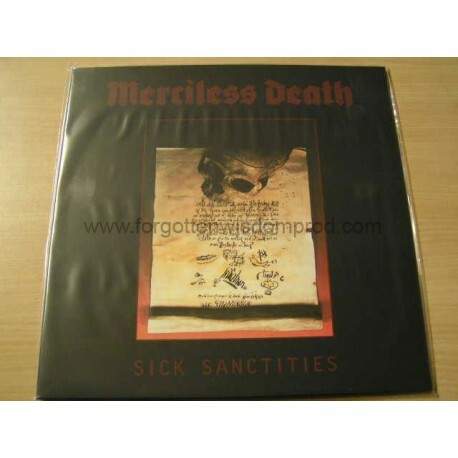 1993's "Sick Sanctities" bring nine tracks merging the raw power of early Slayer, massive sound of Morbid Angel from "Blessed Are The Sick" era, some Metallica styled acoustic parts here and there and overall perfect, diabolic vocals.It is definitely the most mature and musically challenging material of Meciless Death, full of rythm changes, tempo twists and perfect mood balance it showed the incredible potential of the band. Pity that it was the last material of a legend that Mercilless Death will always remain. The reissue contains live bonus tracks. An ultimate homage to the Legend Of The Underground!!!!"